Due to the constantly changing regulations, being in compliance with the Good Clinical Practices (GCP) standards is a highly challenging task for the pharmaceutical industry. Pharmaceutical and biotechnology companies are increasingly using trainings to increase the competency of their employees. At HORN Pharmaceutical Consulting we recognize the significance and importance of training and education for all clinical research personnel. Our GCP training courses provide a solid understanding of GCP requirements and an overview of quality assurance for the conduct of clinical trials. No matter whether you need basic or expanded knowledge in regulations for GCPs, our specialists will provide you with the training needed to improve clinical trials and ensure compliance with Good Clinical Practice. Our goal is to provide your employees with an in-depth understanding of the clinical research process, the roles and responsibilities of key players, as well as, regulatory requirements. The ability to have your specific concerns addressed and discussed is one of the most important factors in any educational program. 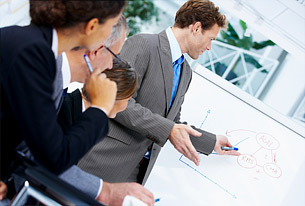 We offer particularly tailored in-house trainings. Guided by the principle “learning by doing”, we give you the opportunity to exercise what you have learned. In specific workshops, the training participants will be placed in several real life situations such as reviewing pre-study documents and informed consent forms for completeness and compliance; conducting drug accountability; reviewing case report forms for accuracy and adherence to protocol and performing source document verification.